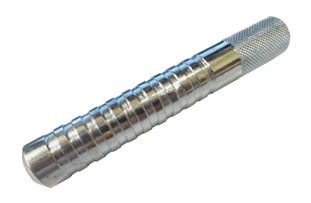 SAE Products® Drive Fitting Installation Tool (Straight). Drive fitting tool simplifies the installation process for straight drive-type grease fittings and prevents fittings from breaking during installation. Made in The USA. Features ergonomic grip for easy installation and zinc plated steel for corrosion resistance.